Week 1 is almost over and it's time to work the waiver wire hard. The difference between making play-offs or not is how well you work the waiver wire. Every year I find someone on the waiver wire to fill in for injuries and bye-weeks. 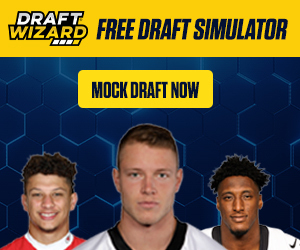 Also we find a player that will become your every week starter. 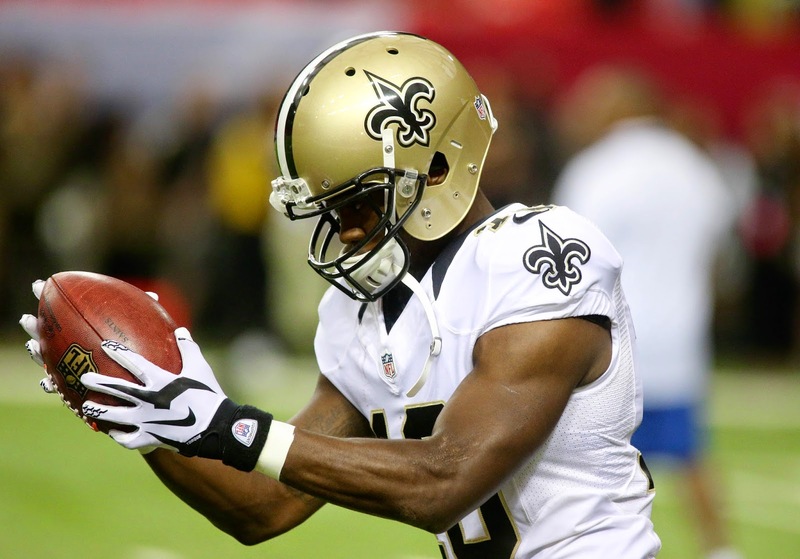 Brandin Cooks (WR, NO) - Drew Brees to Cooks is going to happen frequently and often this season. Would love to have him on my team. Carlos Hyde (RB, SF) - if anything happens to Frank Gore this kid is going to be a beast. If you have room to snag him then do so. Justin Forsett (RB, BAL) - Forsett is now the lead back for the Ravens as Ray Rice is not suspended indefinitely and Pierce was not effective. He is a must grab. Josh Gordon (WR, CLE) - make room on your bench until we hear the final verdict. There is an outside chance he gets to play this year and he would be awesome to have in your fantasy play-offs. Anquan Boldin (WR, SF) - he may be aging but he is still strong and a major target in the SF offense. He is preferred in a PPR league but should find the end-zone this year too. Kenbrell Thompkins (WR, NE) - I am now convinced that Thompkins is the WR2 in NE and is worth stashing on your bench. Steve Smith (WR, BAL) - I believe I mentioned Steve Smith a number of times in the pre-season and Flacco targeted Smith a TON this Sunday. Smith still has gas in the tank and is a must grab at this point. Chris Ivory (RB, NYJ) - Ivory had a huge break-away run for a TD, but is he going to be able to produce like that weekly? Chris Johnson is still the feature back and Ivory will always be boom or bust while CJ2K is healthy, but Ivory is worth a pick-up as he looked more talented than CJ this week. Dwayne Allen (TE, IND) - clearly outplayed Fleener although Fleener will still see the field. Allen is usable as a bye-week spot starter with clear upside. Dexter McCluster (RB, TEN) - as many of you know I believe McCluster to be this years Danny Woodhead. The coaching staff for the Titans are from the Chargers and their playbook revolves around a player like McCluster. If you are in a PPR league he is a player must grab. Andrew Hawkins (WR, CLE) - Hawkins is the clear number on right now in Cleveland and if you are in a PPR league then go grab Hawkins for your bye-weeks. Benny Cunningham (RB, StL) - he was given a number of carries behind Stacy and is pushing for more. He is worth a stash at this point but has limited upside in a true RBBC situation. Isaiah Crowell (RB, CLE) - assuming Terrence West is not available, but if West is available you should pick him up first. If you are looking for a player with upside as long as Tate is out then go with Crowell who appears to be the goal-line RB. Rod Streater (WR, OAK) - it's tough to give any WR in Oakland a start as Derek Carr is still a rookie and it's hard to say who his top targets will be, but that being said Rod is a huge target and Carr was looking his way a ton. Marqise Lee (WR, JAX) - The Jags will be playing from behind most of the season so there will be a ton of throws. If you are in a PPR league you could gamble on Lee. Greg Jennings (WR, MIN) - it's no mystery that when Cassell plays then Jennings does well. If Cassell remains the starter Jennings is a perfect bye-week filler. Shonn Greene (RB, TEN) - Bishop Sankey is just not quite ready to be the number 1 RB for the Titans. Greene will see 10 carries a week and potential for catches as well, but mainly going to get it done on the ground. Andrew Quarless (TE, GB) - If Richard Rodgers misses time you can look to Quarless for an injury spot starter. Zach Miller (TE, SEA) - it seems like every year Miller makes this list due to sheer number of targets from Russell Wilson. James Starks (RB, GB) - if Lacy does miss Week 2 then Starks will be a spot starter; if you own Lacy you should stash Starks. Delanie Walker (TE, TEN) - he is a big target in an offense that will throw to their TE; he is a solid back-up TE at this point. Ahmad Bradshaw (RB, IND) - if you are in a PPR league and need a bye week filler then Bradshaw should be picked up. He looked better in the passing game than Trent did. Allen Hurns (WR, JAX) - Hurns came in for injured Cecil Shorts and was able to light it up; he is worth keeping very close eye on and if Shorts misses more time then Hurns could be an extreme flier. Brandon Myers (TE, TB) - he was targeted a ton, so you have to be in a bad situation and PPR to take a chance on Myers. Santonio Holmes (WR, CHI) - if Alshon misses time due to injury then Holmes will be the new starter for the Bears. He will be boom or bust regardless. Levine Toilolo (TE, ATL) - this guy is so so so tall and a huge target in the red-zone. Keep a close eye on the production from Toilolo and be ready. Derek Carr (QB, OAK) - he didn't look bad at all but not quite ready to invite him on my team. In dynasty leagues you have to pay attention to Carr. Brian Quick (WR, StL) - regardless of who is at QB Quick looks to be a top target for the Rams. Keep a close eye on Quick. Denard Robinson (RB, JAX) - Denard would be up next if Gerhart were to miss any time due to injury. If you are in a dynasty league it would be good to keep an eye on Robinson.